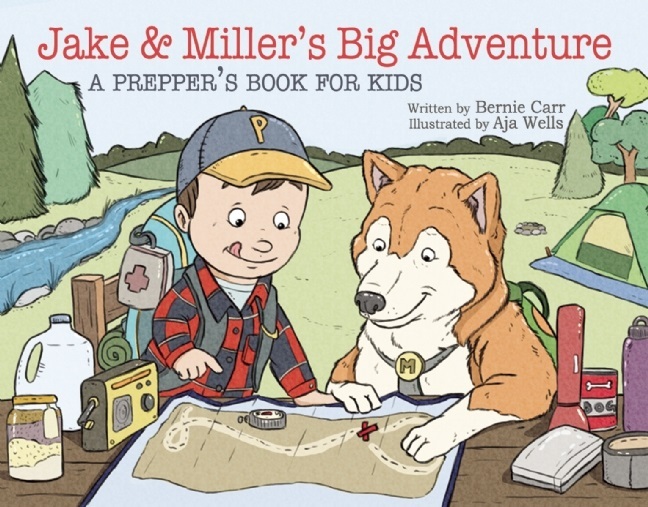 A few weeks ago, we took a day trip to a wilderness area for a picnic. There was no rain in the forecast that day, and there were no clouds in the sky when we set out. After an hour’s drive, we arrived and scoped out a spot by some trees. A couple of hours later, the clouds started coming in. Pretty soon the sky was dark and you could just feel a slight cool down in the temperature, which signifies rain. The wind came in and we knew we were about to have a downpour. We didn’t want to leave just yet, so Mr. Apt Prepper rigged up a tarp into a makeshift shelter. Paracord came in handy for tie-ups. It was not a very attractive set-up but it kept us from getting drenched. The rain lasted for about 45 minutes then the sun came out. I was glad we had the tarp and paracord to build a makeshift shelter. I have written about paracord before, but not about tarp. Use as a way to signal – if you are lost somewhere, find an area to spread out the tarp so it can be seen from above. Recently, we used tarp to protect camping gear on top of the truck on a long road trip, using heavy duty cord to secure the bundle. The tarp held up very well and the contents stayed dry in spite of heavy rain. If you try this, use tarp close to (or complements) the color of the top of your vehicle to make it look as unobtrusive as possible, and make sure to use several heavy cords or straps to secure it properly. 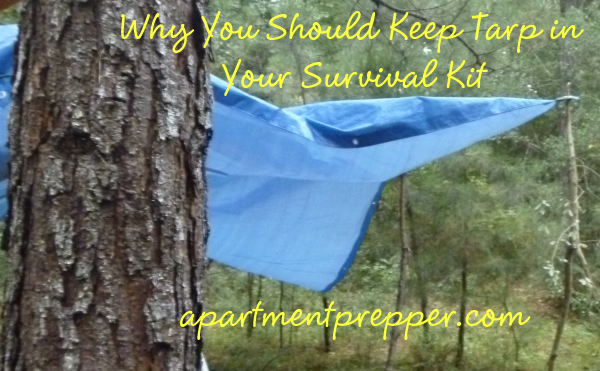 Keep some tarp, along with paracord and some duct tape in your car survival kit. 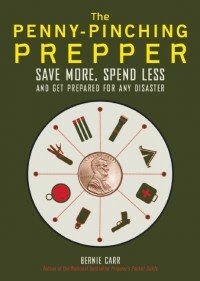 While you’re at it, might as well keep one at home and in your bug out bag.